For her grandfather, Cynthia was looking for the information about his Japanese father (Cyntia’s great-grandfather) who was repatriated to Japan because of WWII. 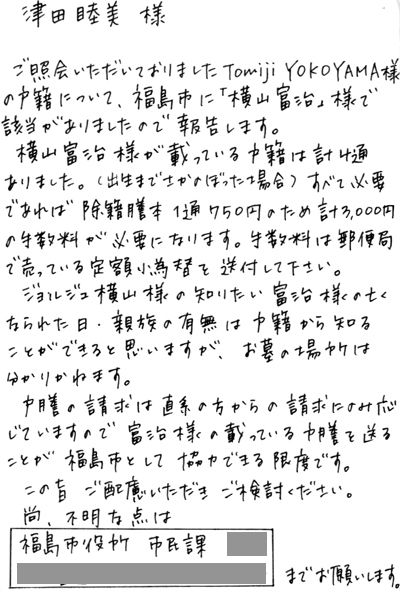 I sent a letter to find his family register to ninety public offices in Fukushima prefecture. Processe of this research is presented with Cynthia’s portrait, ninety return cards, old photos of Japanese family, etc.